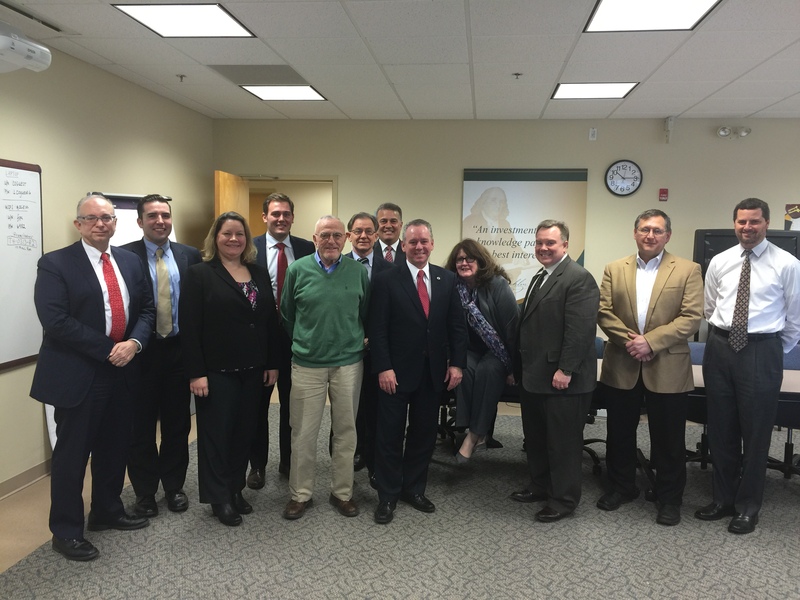 On Tuesday, January 10, 2015 Massachusetts State Representative Jeffrey Roy (D – Franklin) hosted a Life Sciences Development Meeting in Franklin, MA. Local biotechnology companies, Franklin town officials and members of the Massachusetts Life Sciences Center joined the discussion about the opportunities within the Life Sciences Industry, the potential for future development within the region and what Franklin has already done to successfully attract and retain life science companies. Cornerstones of Life Sciences Industry range from pharmaceuticals and medical devices to diagnostics and biotechnology. Thanks to its world-class academic institutions and medical centers, its talented and innovated workforce and its industry-sector leading companies, Massachusetts has firmly established itself as a global leader in the Life Sciences and has fully committed the state’s economic well-being to the development and advancement of these Industries. “It was wonderful that Representative Roy brought the players to the table to help jumpstart Franklin’s efforts in economic development and the life sciences,” said Jeff Nutting, Franklin Town Administrator. With Massachusetts as a foundation, Franklin’s attractiveness for business development has created a unique opportunity to provide positive economic growth, help advance the development of the Life Sciences and benefit the global community.